SAMH Business Consultant Services has developed operating policies, procedures and forms for psychiatric and substance abuse treatment programs. Policies and Procedures are often the first step toward licensure or accreditation for mental health and substance abuse treatment programs and treatment modalities. 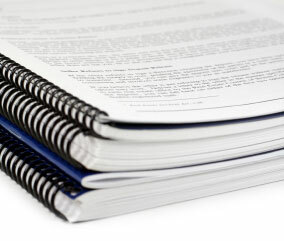 We have a multitude of policy and procedure manuals that are accepted by all state licensure boards and accreditation groups. These are specifically tailored to residential treatment facilities, detox centers, hospitals, inpatient units, outpatient clinics, practices, community housing, FARR resident housing, AHCA, CARF, and JACHO standards. Establishing concrete agency policies and implementing procedures to adhere to said policies are the vital lifeline to your success. The legal and regulatory climate alone has changed so rapidly during the last decade that a host of new policy areas have emerged. Writing and researching agency policy and procedures manual is a lengthy and important process that must be completed prior to going into business. Each agency has a different set of policies and procedures. Know the industry, understand the state and federal compliance regulations that govern your industry in order to establish effective internal policies and it is important to be aware of all guidelines. Many of your contractors and state licensure entities will ask you for a copy of your policy and procedure book upon application for licensure. So be prepared, begin the process now some licensing bodies require accrediting, certifying, licensing, and regulatory bodies, such as the Joint Commission on Accreditation of Healthcare Organizations (JCAHO), the Commission on Accreditation of Rehabilitation Facilities (CARF), Department of Substance Abuse and Mental Health / DCF SAMH. Policies demonstrate credibility and adds to your reputation for quality services. Policy and procedure manuals demonstrate accountable and best practice programs . Retention and utilization is the bottom line for agencies that make it or break it in this industry so remember "Quality care equals more referrals." Your clients are your best advertisers. There are many templates for policies and procedures available to you however you want to make sure that your specific policy book has been individualized to match your agency's mission and vision statement. A table of contents and documentation format, which address accrediting, licensing, and regulatory requirements were illustrated.You may want to begin the summary and scope of service and clinical services. Policies that cover patient safety, record management, clinical documentation policies ,professional development, human resources, medication management, prevention of medical errors, infection control, ethics, ancillary policies, and the admission and discharge requirement policies. You may want to research policy and procedure software or you may want to hire a professional consultants to write your policy and procedure manual specifically focused on your state and federal guidelines. Again this policy and procedure manual must meet the ramifications of the industry that you are applying for.